Iphone Active: Paralyzed development of "Infinity Blade: Dungeons"
Paralyzed development of "Infinity Blade: Dungeons"
Bad news for fans of the series 'Infinity Blade' for iOS devices: the future delivery, 'Infinity Blade: Dungeons', has been frozen by the end of the study that was taking care of their production. This was announced by Tim Sweeney, creator of Epic Studios, in a statement published on the official website of the company. 'Infinity Blade: Dungeons' was announced with great fanfare at the launch of the third generation iPad a year ago, when the game makers were up on stage at the Yerba Buena Center to show us some pictures of a title that looked even better than deliveries above. Big Huge Games was acquired by Epic Games last year and until now was taking care of the production of the new 'Infinity Blade'. However, it seems that things have not worked well between Epic Games and Big Huge Games and Tim Sweeney has decided to shelve the agreement between the two studies. The future of 'Infinity Blade: Dungeons' is in the air, since the production of the game has been frozen until further notice. Epic Games imagine that the project will recover soon, as has been the series that has brought more benefits. 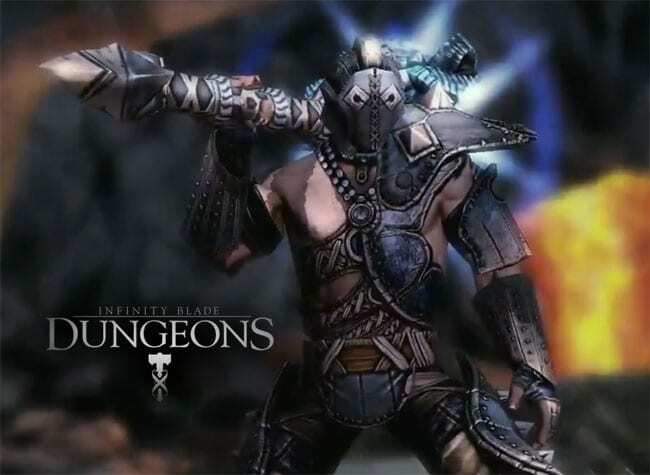 Article Paralyzed development of "Infinity Blade: Dungeons" was originally published in News iPhone .